Vail has about 350 acres of Slow Zones—just 12 out of our 195 runs. As a percentage of the total skiable area, slow zones represent 6% of all the maintained terrain, and about 4% of all the overall inbounds terrain. That means that on the other 95% of the mountain, you can ski in control as fast as you want. Our Slow Zones are all high traffic areas that attract a wide variety of skier and rider abilities. We’ve designated these runs as slow zones to make sure everyone has a safe way to get down the mountain. We put up all those yellow signs to help people remember the run they are on requires a little more attention and a lot slower pace. As a general rule, the slow zones begin where our first signs begin and end at the bottom of the closest lift or base area. What we expect in these slow zones is that people go with the flow. We’re looking for people to ski and ride the same relative speed as those around you, and give everyone plenty of space. We want the person who started snowboarding this morning and the local who has been skiing 100 days a year for the last 53 seasons (looking at you, Forever Man) to have the same safe, enjoyable experience coming down our mountain. This season, we have four newly designated Family Zones marked at the top with green signs. These zones are on Lost Boy, upper Ledges, Swingsville, and Over Easy. They are a great place to go with the whole family. All our Family Zones are Slow Zones, but we’ve taken some extra effort to let everyone know they’re a great place for skiers and riders of all abilities. In a few areas, there are some terrain choices you can make to avoid or enjoy a Slow Zone. On the east side of Vail Mountain, you have the choice between Northstar or Flapjack to get to the bottom of Chair 11. Flapjack is one of our designated Slow Zones, full of yellow signs and Mountain Safety staff. Just to the west of Flapjack is Northstar, which is not a slow zone. If you are comfortable with steeper blue terrain, consider skiing Northstar. This will give the newer skiers and riders plenty of space and a slow pace on Flapjack. In Mid-Vail, Swingsville is one of our Family Zones, and we mark it with plenty of slow signs. One run uphill of Swingsville is Cappuccino, and one run downhill is Christmas. Both Cappuccino and Christmas are not Slow Zones until they merge with Swingsville above Chair 4. 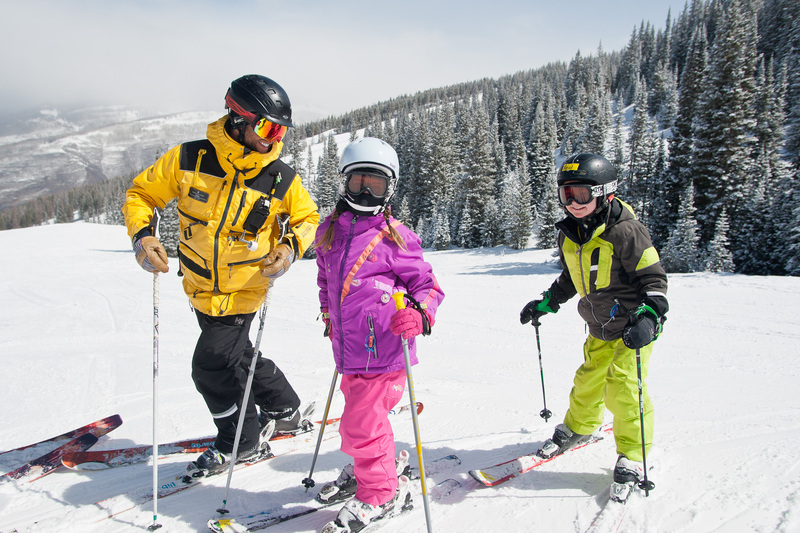 Help us keep Vail Mountain safe and fun for everyone! Make terrain choices based on your goals and skiing or riding ability, and go with the flow in our designated Slow Zones!